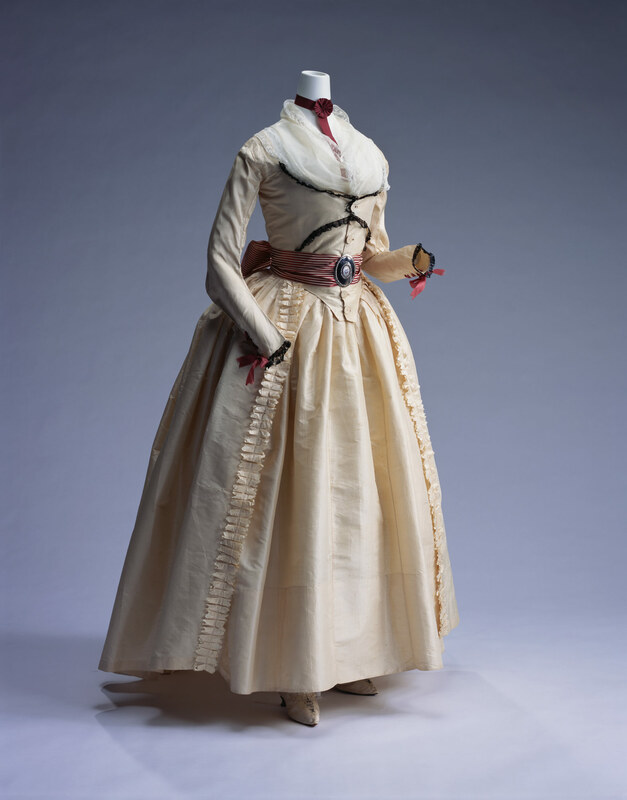 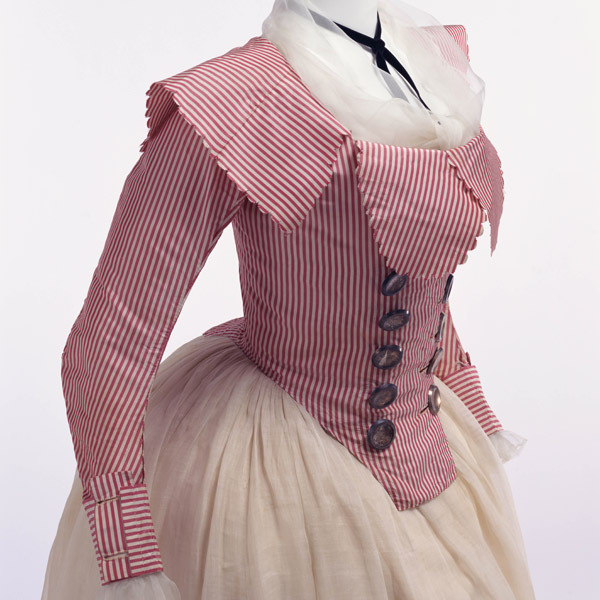 Cream silk taffeta; two-layered "compères" front with buttons; matching trim; black lace decoration at front bodice and cuffs; wine-colored ribbon lacing at cuffs; matching petticoat; fichu at neck. 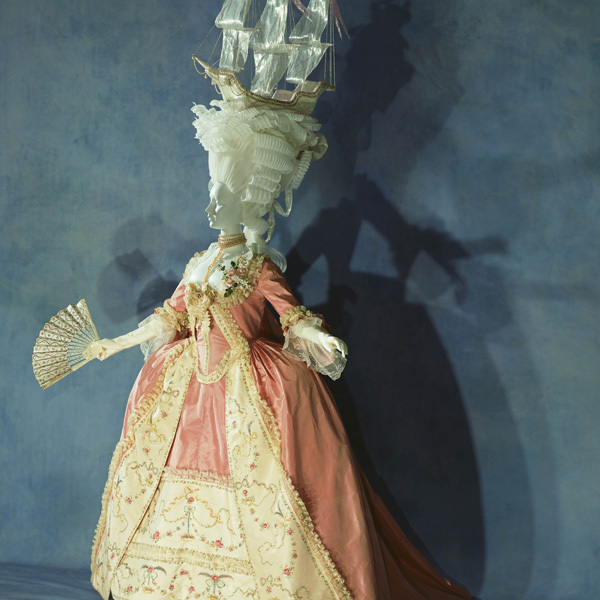 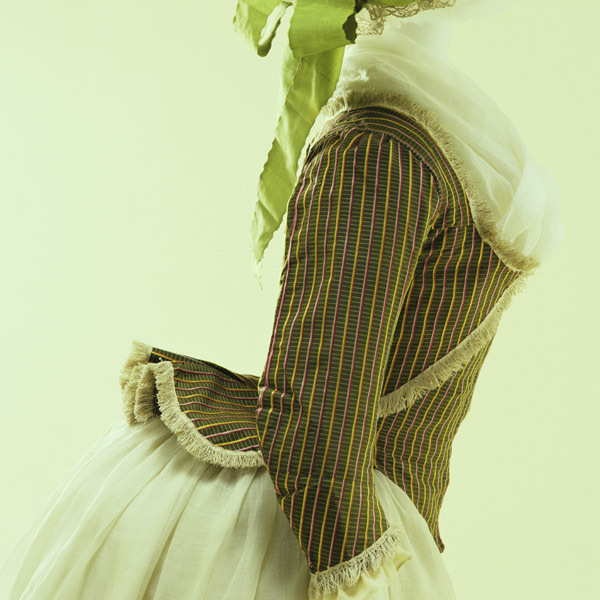 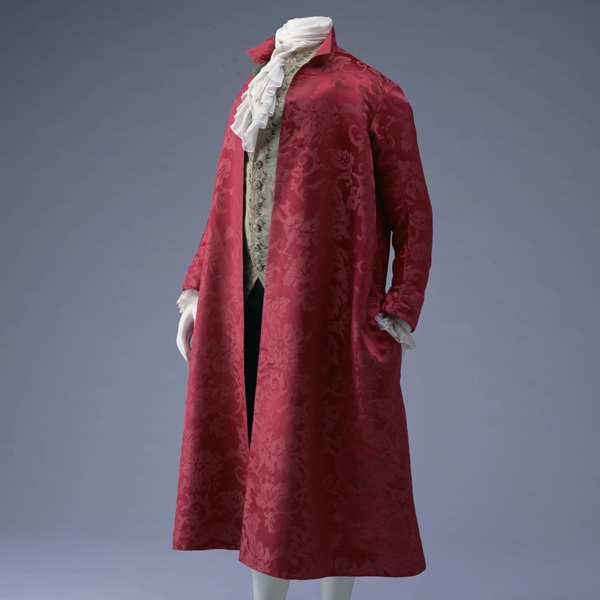 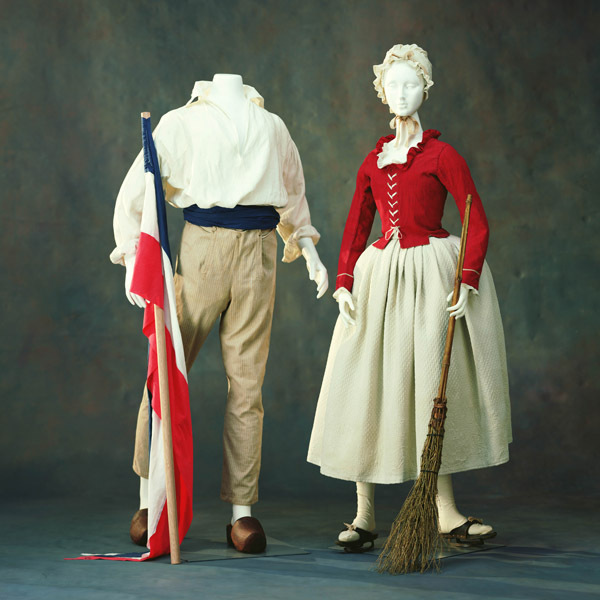 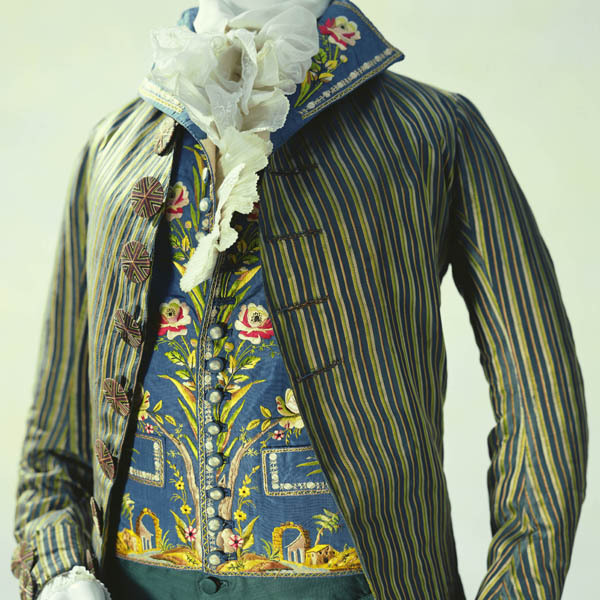 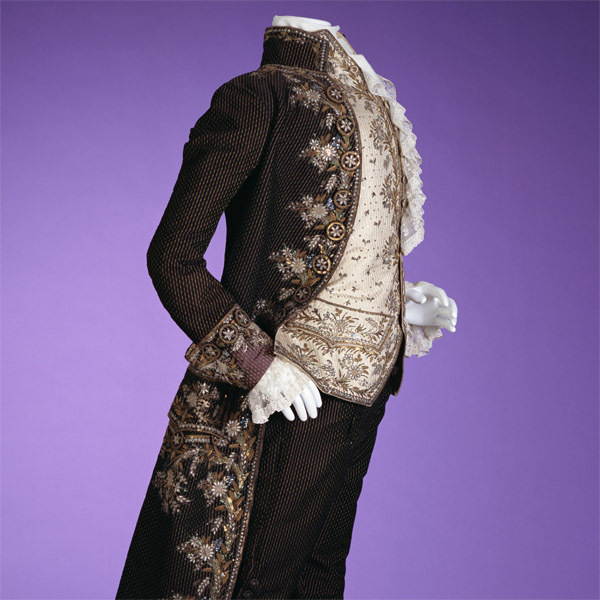 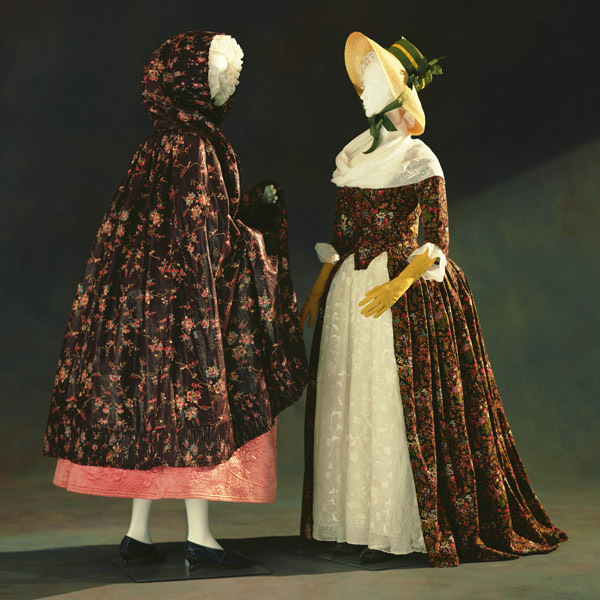 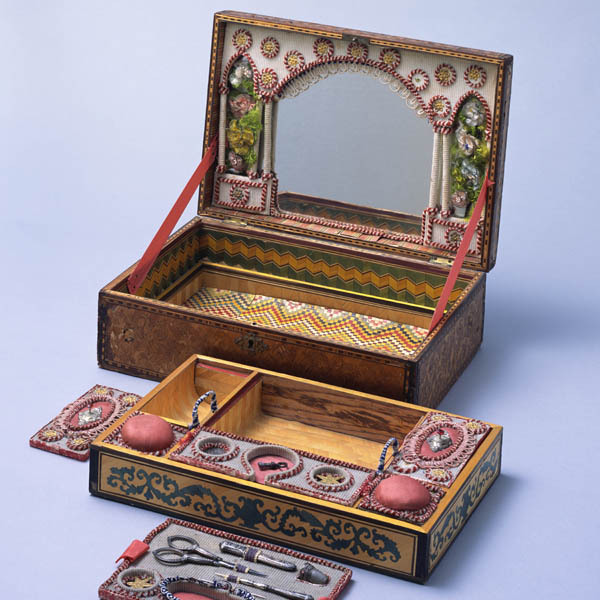 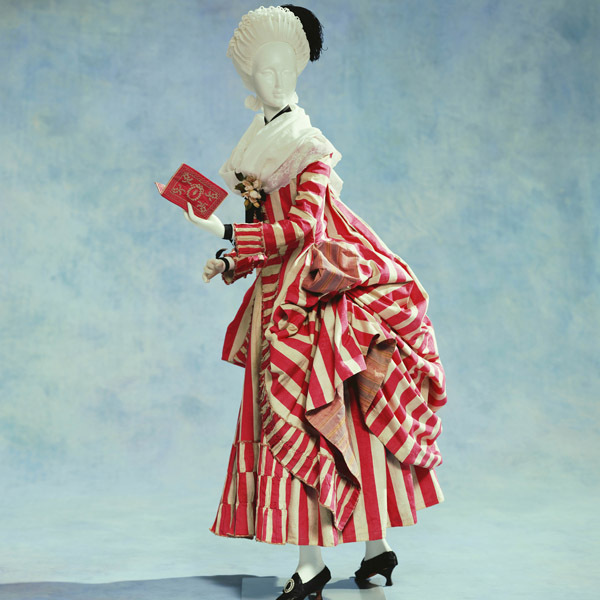 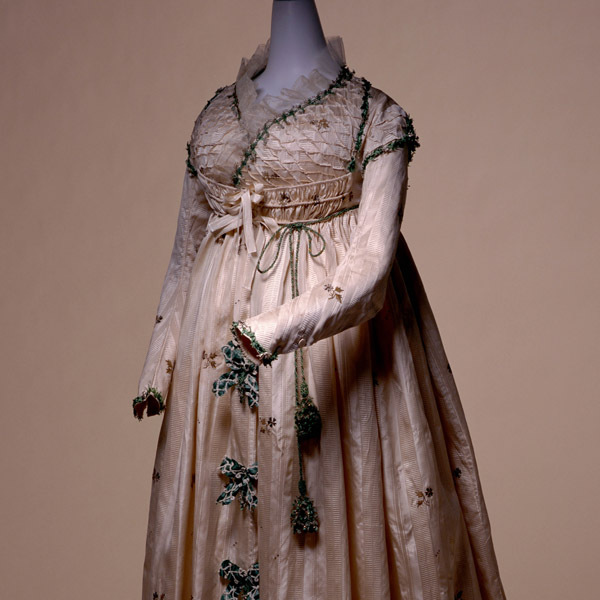 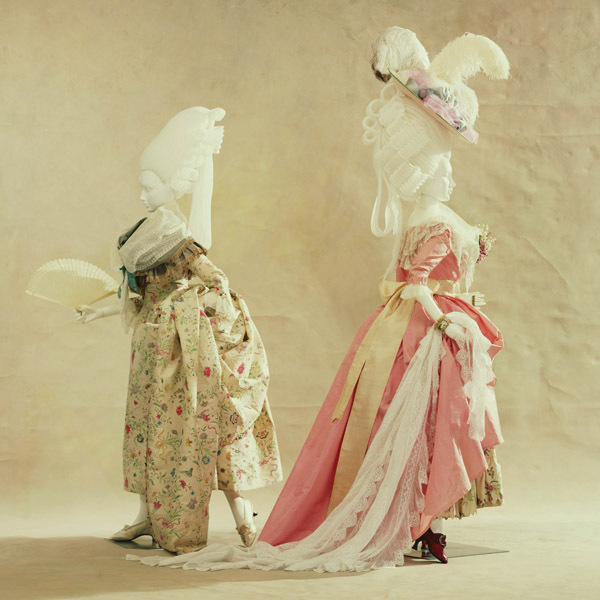 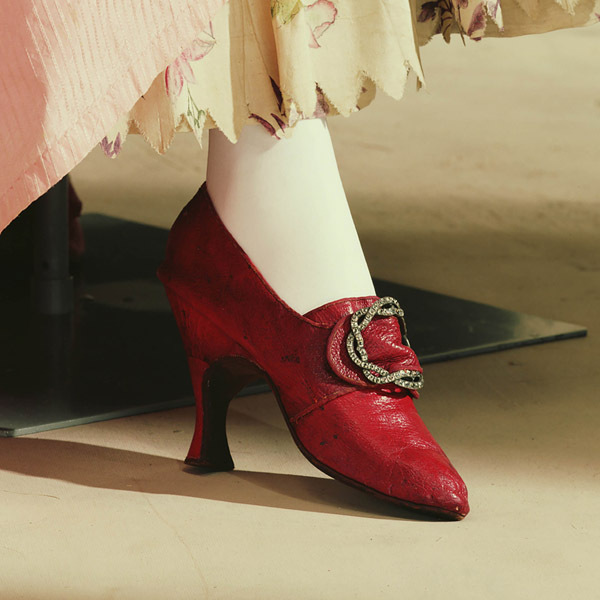 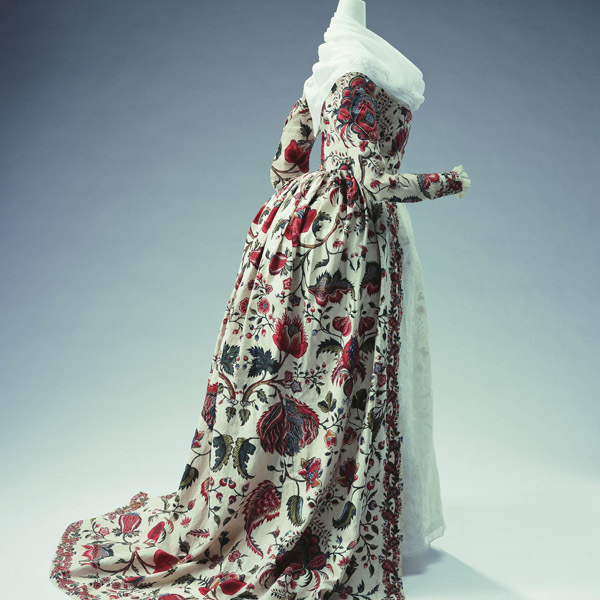 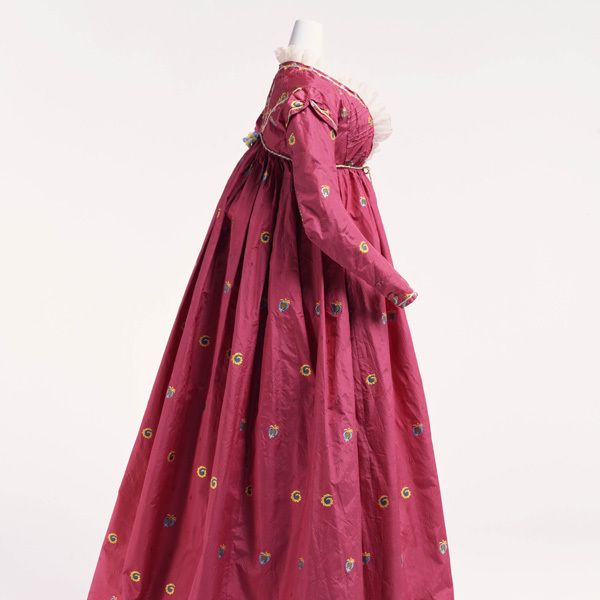 A dress of surprisingly modern taste appeared around the time of French Revolution, during the transition period from the gorgeous Rococo style silk dresses to plain cotton dresses after the Revolution. 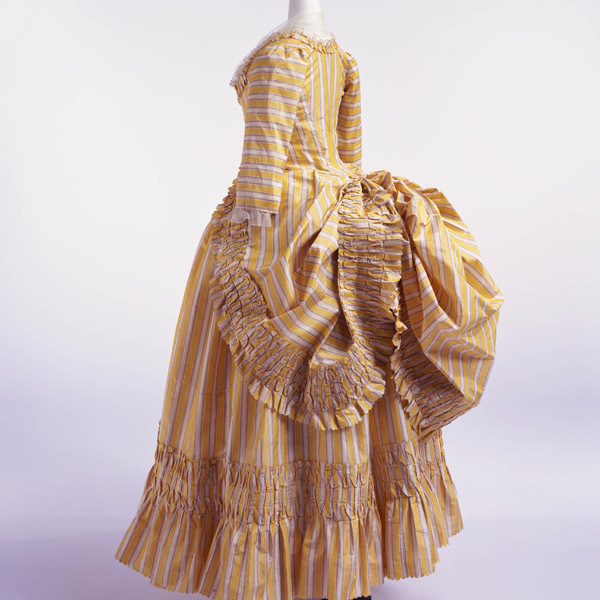 Simple dresses from that period have. 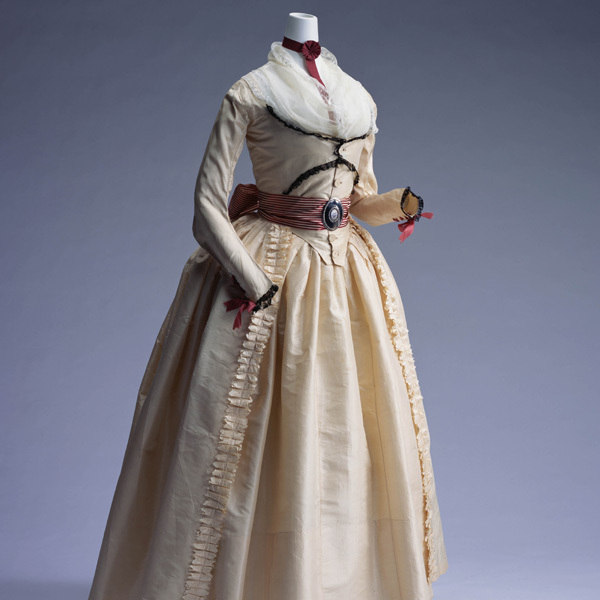 This dress made of light plain silk taffeta has a "compères" style double front bodice. 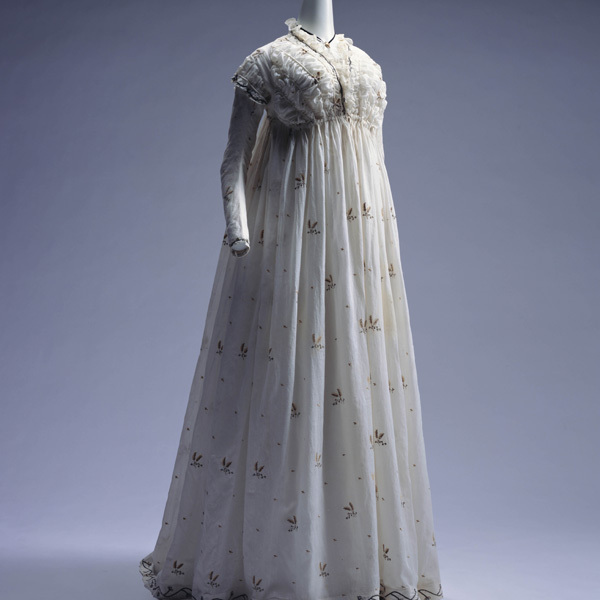 The sole decoration to this dress is black lace trim. 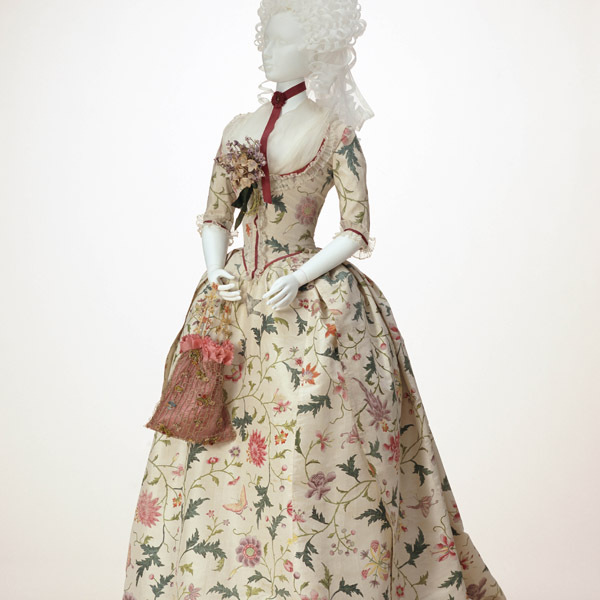 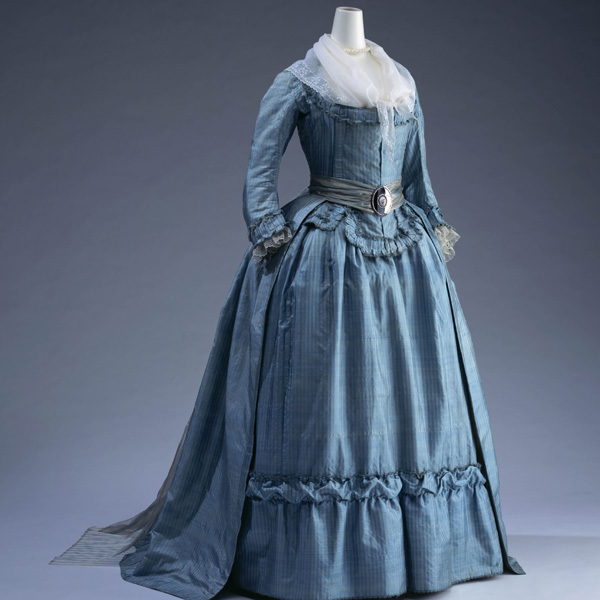 When wearing this dress, a thin "fichu" was placed in the large opening at the top of the bodice.